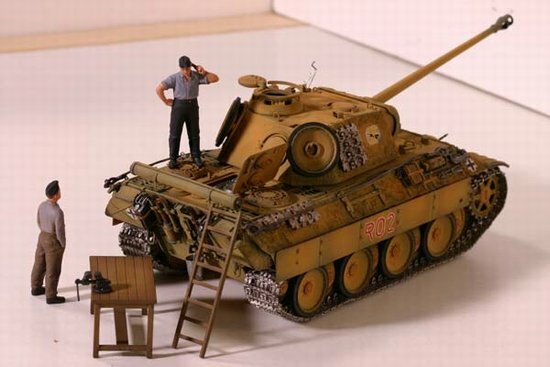 The workshop is situated comfortably behind the lines, the thunder of the guns can hardly be heard, staff officers aren’t looking over your shoulder and there is peace and quiet to get your work done. But the damage is excessive and it will take some time to repair. 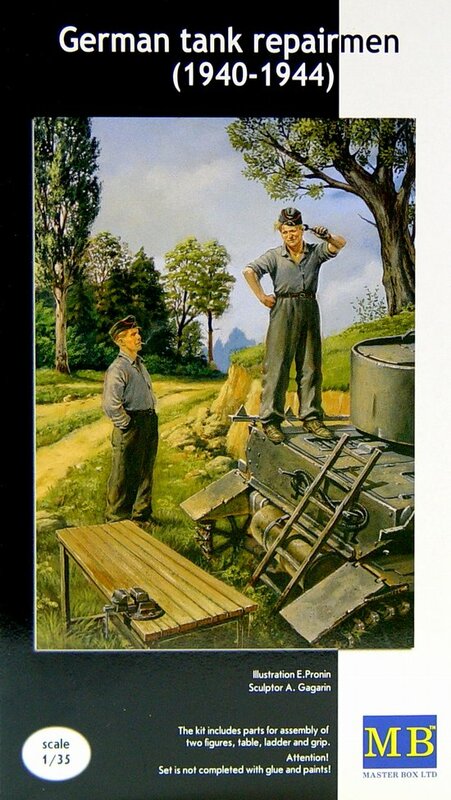 These and other questions can easily be read in the finely detailed facial expressions of the figures. 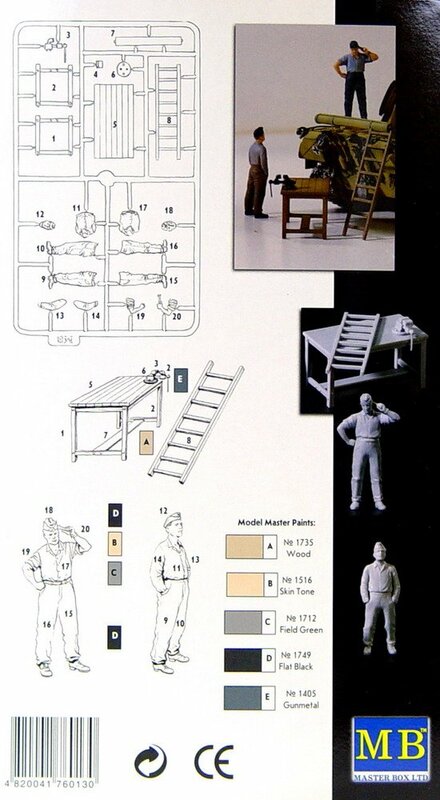 This kit includes two detailed figures, table, ladder and vice.